Rachel, master storyteller and medicine woman, reads her favorite stories from her bestselling books, Kitchen Table Wisdom and My Grandfather’s Blessings, chosen especially for Labor Day. LISTEN WITH SOMEONE YOU LOVE! 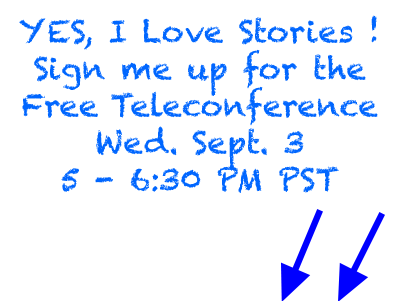 By registering you will be added to Rachel’s email list and will receive information about future teleconferences and her blog. You can unsubscribe at any time. Your information will never be shared or sold. We respect your privacy. ABOUT RACHEL NAOMI REMEN MD: Rachel is Clinical Professor of Family Medicine at UCSF School of Medicine and the New York Times bestselling author of Kitchen Table Wisdom and My Grandfather’s Blessings. Her books are translated into 21 languages worldwide. Her work has reminded many thousands of people of their power to grow beyond their current challenges and heal themselves. Dr. Remen has a 60-year personal history of Crohn’s disease and her teaching and writing is a unique synthesis of the wisdom and courage of physician and patient.